Dining: Gladbrook has one restaurant, Spanky’s, serving homemade lunches and dinners. (Restaurant closed on Sun. and Mon.) Groups are welcome at the restaurant or they will cater to our building. 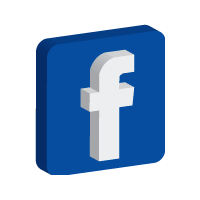 Contact them at 641-473-0025. Our grocery store, Hometown Foods, is also available for catering meals to our building. Their contact is 641-473-3222. For early groups, we can arrange to have fresh cinnamon rolls and coffee ready for you. Other: Also, in our City Centre building is our movie theater. 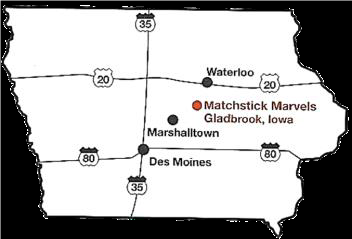 You can arrange to have a showing of our current movie for your group or just have the concession stand open for snacks after viewing the Matchstick Marvels. The Gladbrook Historical Museum is located on our upper level and can be viewed free of charge. Access is by steps or elevator. When leaving Gladbrook be sure to drive by our Veteran’s Memorial Park on the east edge of Gladbrook on Highway 96. 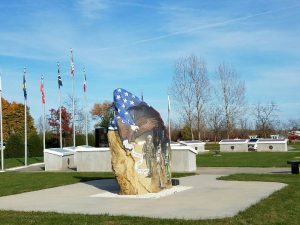 It is now home to the Tama County Freedom Rock.